As you’ve gotten older, we’re guessing your definition of “swimming” has changed a little. When you were a toddler, swimming meant splashing around with plastic watering cans and arm floaties. As a school-aged kid swimming became a little more serious, with some lessons or swim team thrown into the mix. And now, as an adult, what does swimming look like to you? If you’re like a lot of adults, “going swimming” means arriving at the pool, possibly wearing a swimming suit, and sitting pool-adjacent while enjoying the sun and a juicy magazine. As lovely as pool loungers can be, we’d like to encourage you to think again about real swimming, and just why you might want to incorporate it into your fitness routine. So here are our top 5 reasons to start swimming again. Really swimming. Your joints like it. 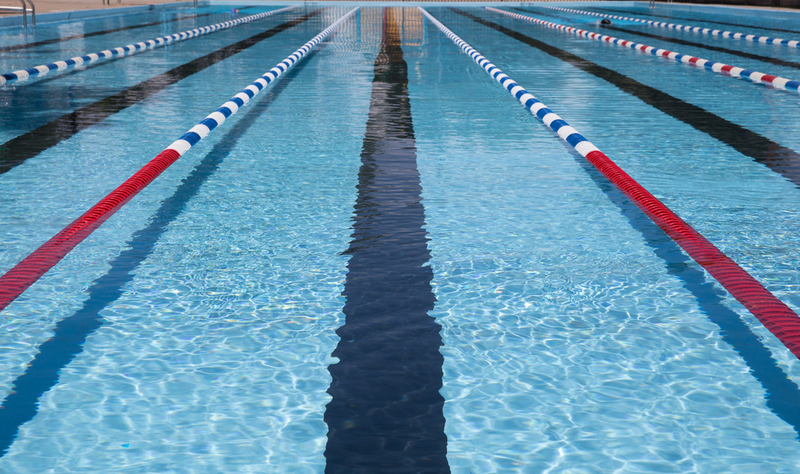 Because you only bear about 10% of your weight in the water, swimming offers a cardio workout without the wear and tear on your body that you might find with running or playing sports. As long as your doctor agrees, swimming can be a great exercise option for those with arthritis or heart conditions. Also, some people diagnosed with multiple sclerosis find exercising in water to be good for building strength and balance under the guidance of their doctor. And, as heat sensitivity is common in patients with MS, they might find relief in the coolness of pool water. Your muscles like it. Given the great resistance that water provides, simply moving through water can tone and strengthen muscles. Add in swimming powerful strokes for 30 minutes at a time, and you’ve got an effective muscle-building workout, no weights or equipment needed. In fact, swimming works an impressively high number of major muscle groups including your arms, back, legs, glutes, and core, making it an effective full-body workout. Your bedtime likes it. Like most aerobic exercise, swimming can improve the quality of your sleep. This is because exercise acts as a stressor on the body, one that the body needs to compensate for later with deeper sleep. Exercise such as swimming also releases endorphins which can help lower stress and depression, leading to a clearer and happier mind come nighttime. Speaking of depression, your mood likes it. Exercise has been shown in studies to improve self-esteem, elevate the mood, and have a calming effect. Plus, as you get more confident in swimming and learn more about how to do various strokes and turns well, this, too, can have a dramatic effect on your mood and level of self-confidence. One study published in Psychosomatic Medicine in 2011 found that regular exercise can help ward off panic attacks in those suffering from anxiety. Your waistline likes it. Of course, any kind of exercise can help manage weight if paired with a healthy diet. However, swimming can be especially good for weight control in that it provides both cardiovascular and strength-training, all in one workout. Aerobic exercise can burn a high level of calories, while building muscles can help ensure that your metabolism stays nice and high.